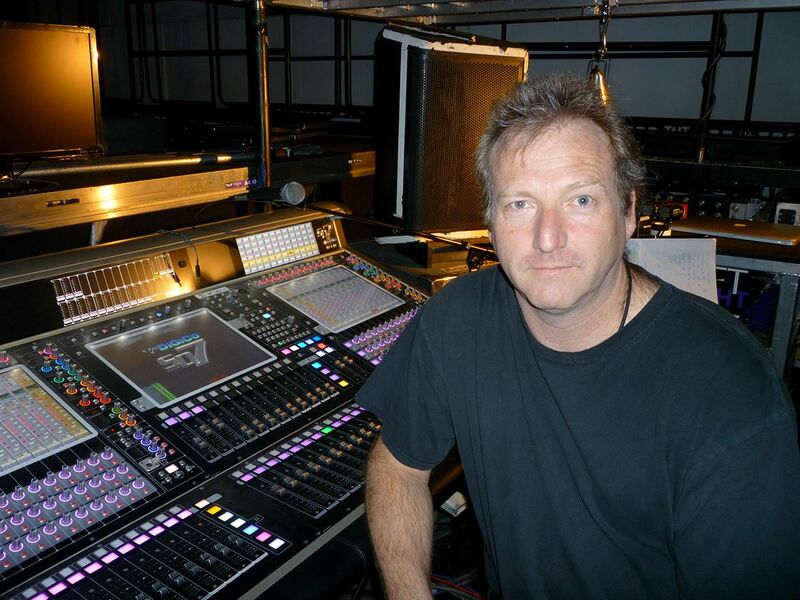 It is with great sadness that we report the death of Ian Newton, who served as audio monitor engineer on Roger Waters' The Wall Live arena and stadium tours. Ian reportedly died of a heart attack. He was in his mid-50s and known throughout the live production world as a modest but warm-spirited gentleman. Ian's other touring credits included The Police, Sting, Barbra Streisand, Oasis, Take That and Madonna. RIP. The picture here shows Ian "in the office" at the desk for Roger's tour; photo by Mark Cunningham. After this sad news was posted here, we were made aware that he was an intricate part of Kate Bush's recent return to the live stage in London. Her tribute to Ian can be read here.